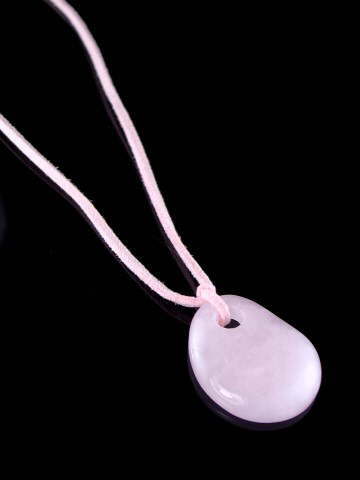 Lovely freeform polished piece of Rose Quartz on a matching pink suede thong with a lobster claw clasp fastening. THE stone of self- and unconditional love. Most of us know about the properties of Rose Quartz. It is often one of the first crystals we work with or come into contact with. Commercially it is almost always marketed as a Love Stone, which indeed it is, and has been regarded so for thousands of years with its beautiful, sweet energy, but it has a more important role; that of teaching us to love ourselves - the starting point on the spiritual path to Enlightenment.